Providing service doesn't have to be hard, take a lot of time, or be super costly but it can bring loads of joy! Finding ways to serve will bring happiness to a sad heart and lift low spirits faster than anything. Take time today to make someone's day brighter by simply smiling, sending a text, making a phone call, or dropping by to visit a friend! 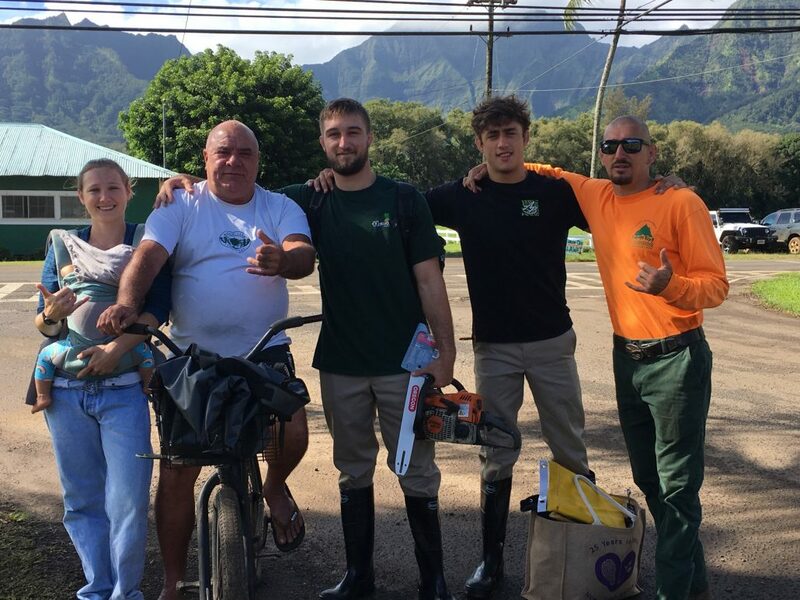 Here's how you can help today in Kauai from the comfort of your own home. Due to the flooding in Kauai and other areas of Hawaii, YES! Women's Network is providing an opportunity for us to serve by sending much-needed supplies. 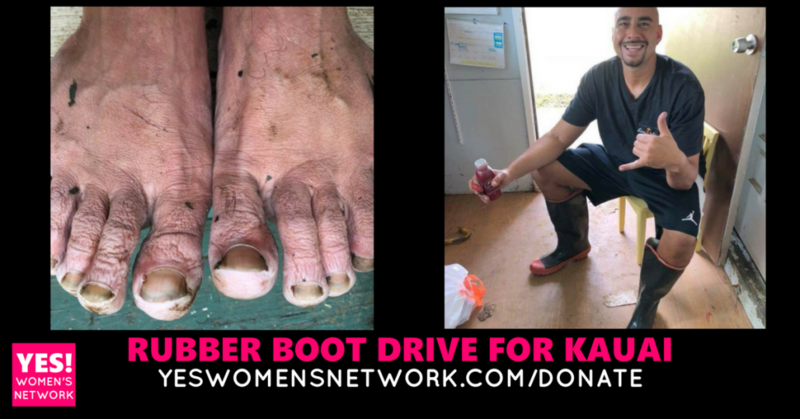 There is a huge need in Kauai right now for boots and other supplies! The standing water there is contaminated and because of this infection is sending many children and adults to the hospital. 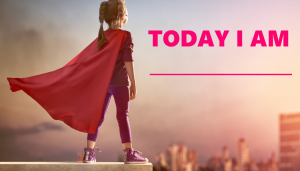 We have made it easy for individuals to help by creating an Amazon wish list which is linked here on our website at yeswomensnetwork.com/donate. Simply chose from the listed items, make your purchase, and they will be delivered directly to the areas where they are needed. There are boots and other items starting as low as $10! We have been able to have almost 2,000 boots delivered from our amazing sponsors as well as other items like gloves, shovels, cleaning supplies, and many more. It's surprising to us that this hasn't had more coverage here on the mainland as the need is dire. There are still certain remote locations that are very difficult to get aid delivered and there are more than 4,000 more feet that need boots. 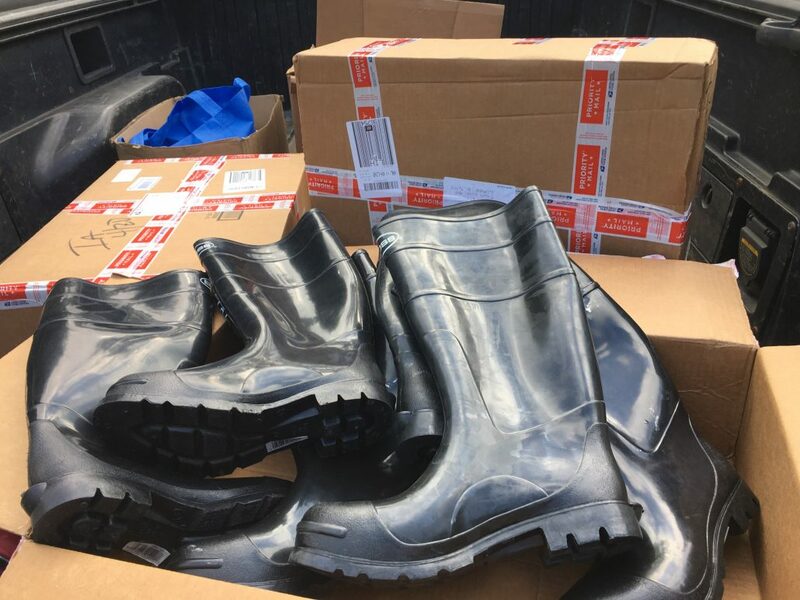 They are still in need of rubber boots of all sizes, especially for the school children. Schools in the flood zones first day back was last week and they are still finding a lot of students without boots. Keiki sizes needed. We would love to hand them out at school. The overall most urgent need remain boots, cleaning supplies, rakes, shovels, building supplies, and medical supplies. We are keeping our site updated with our growing list of sponsors who continue to help. Sponsors include Hawaii News Now, One Source Distributors, Lace It Up Kawai, Medeiros Consulting, Medline, and Zappos. Success... Is it possible? Are You Using the Right Tools?